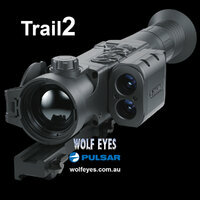 The Pulsar Locking QD Mount for your Trail, Apex, Core or Digisight scope. The improved Locking QD Mount is a 'Return to Zero' mount, allowing you to use your Pulsar scope on different rifles. Almost the perfect mount. The almost is for those of us who live in Australia, this mount is optimised for the AR15 or MSR platform. It is much shorter, 93mm long (and 20mm high), than the mount normally supplied with the Pulsar scopes in Australia. 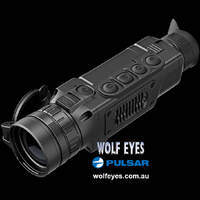 The QR122 mount generally supplied with the Pulsar Thermal and Night Vision rifle scopes in Australia places the ocular lens or eyepiece much closer to the shooter, being optimised for a bolt action rifle with picatinny rail above the reciever. 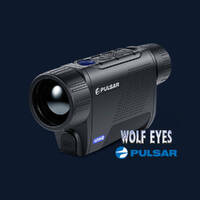 That said, there are those who will be able to utilise the new Pulsar Locking QD Mount PL34000. It is made of aluminium, is matte black and only weighs 100 grams. It only suits picatinny rails and is supplied with 3 mounting screws for your scope.